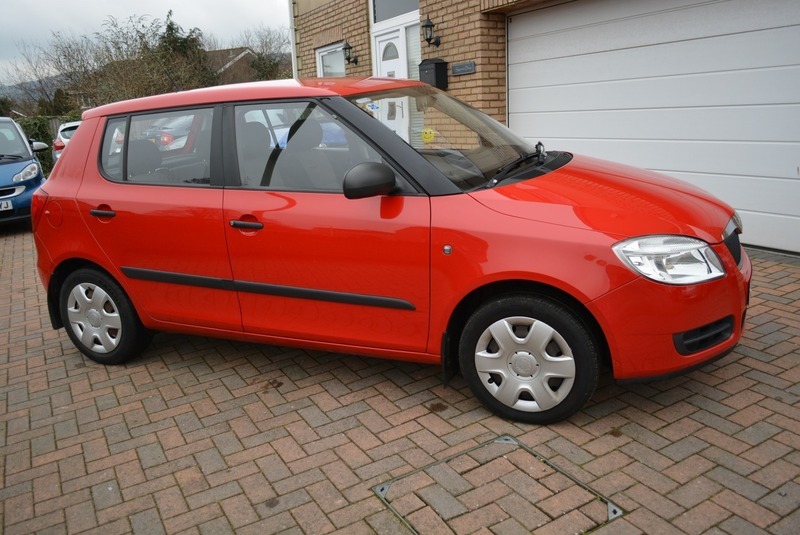 DEPOSIT RECEIVED-----.PROVISIONALLY SOLD------ 2010(10) SKODA FABIA 1 TDI 80 5dr HATCHBACK (DIESEL 1422cc ENGINE/ MANUAL 5 SPEED GEARBOX) CORRIDA RED PAINTWORK WITH BLACK/GREY CLOTH UPHOLSTERY 1 FAMILY OWNERSHIP (MOTHER/DAUGHTER) FROM NEW. FANTASTIC CONDITION WITH SUPERB UNBLEMISHED PAINTWORK IN THE VERY ATTRACTIVE CORRIDA RED COLOUR. PERFECT SERVICE HISTORY WITH 9 SERVICES --ALL STAMPED AND ENTERED INTO THE SERVICE BOOKLET. LAST SERVICE ON 22-01-2019 AT 66,929 MILES (JUST 11 MILES SINCE) NEW MOT TO 21-01-2020. ONLY £30.00PA FOR ROAD TAX. WITH GREAT MPG THIS IS A GREAT OPPORTUNITY FOR THE NEXT OWNER TO OWN AN EXCEPTIONALLY WELL MAINTAINED AND CAREFULLY LOOKED AFTER WELL PRICED CAR. IT HAS THE ADDED ADVANTAGE OF A TOW BAR PLUS THE USUAL FABIA SPEC.